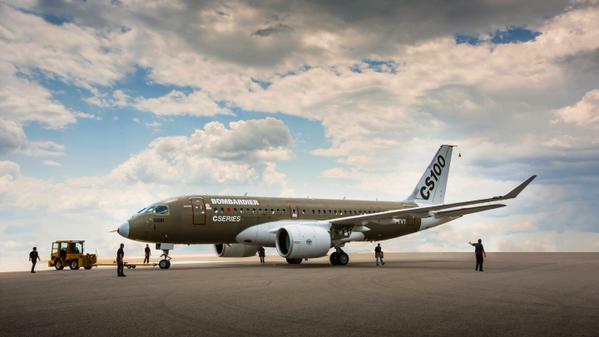 The Globe and Mail article, Bombardier patriarch Beaudoin seeks a landing he can walk away from, October 24, 2015 discusses one of the waves in Bombardier’s sea of troubles that airline analyst Robert Kokinos referred to: sales of the Cseries jets. It appears that Bombardier’s big mistake was to invade the competition’s territory. The thinking was that Boeing and Airbus would concentrate on their larger jets and allow Bombardier to squeeze the Cseries jets into the smaller single aisle models. Boeing developed the 737 Max and Airbus came up with the A320neo. 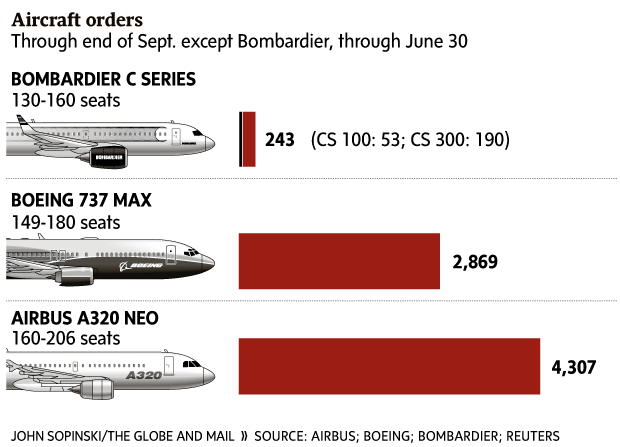 The Globe and Mail article’s graphic that illustrates the sales orders for the comparable aircraft for all three companies illustrates Bombardier’s miscalculation. While the article goes on to paint a nail-biter of a scenario for Bombardier’s future, it is clear that it is Bombardier’s inability to compete against the big boys that makes the difference, not as Mr. Kokinos puts it, Porter’s conditional order for 12 CS100s. Is it also possible that Porter made an economic miscalculation in choosing Bombardier? The Pratt & Whitney’s revolutionary new engine (Porter’s main selling point and its hype about whisper jet) is the same engine that powers the launch version of the Airbus’ A320neo, one of Bombardier’s competitors. Since it is highly unlikely that Bombardier could compete on price, Porter would likely pay far less with aircraft from either Boeing or Airbus. While it is not clear if the Boeing and Airbus aircraft are as quiet as the CS100, it is clear that jets this size belong at Pearson. If Porter is so desperate for jets, why doesn’t the company pay far less for their 12 aircraft and fly them out of an airport better equipped to handle them? 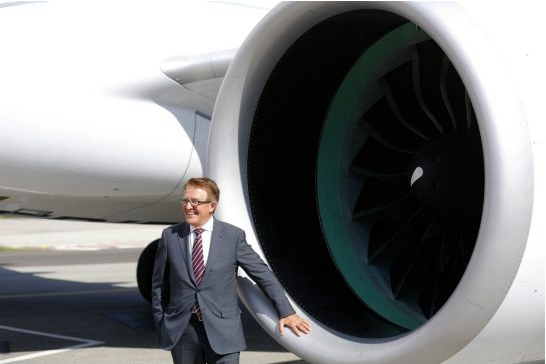 Porter president and CEO in front of a Pratt & Whitney CS100 jet engine intake. Why would Porter choose to pay more? Perhaps the company’s business model depends on jets on the waterfront. At the public expanse.